Pegicorns are never not cool. This is the final scanned version of one of the quick sketches from far too long ago. Some day, I will post something I drew this year to the site too. 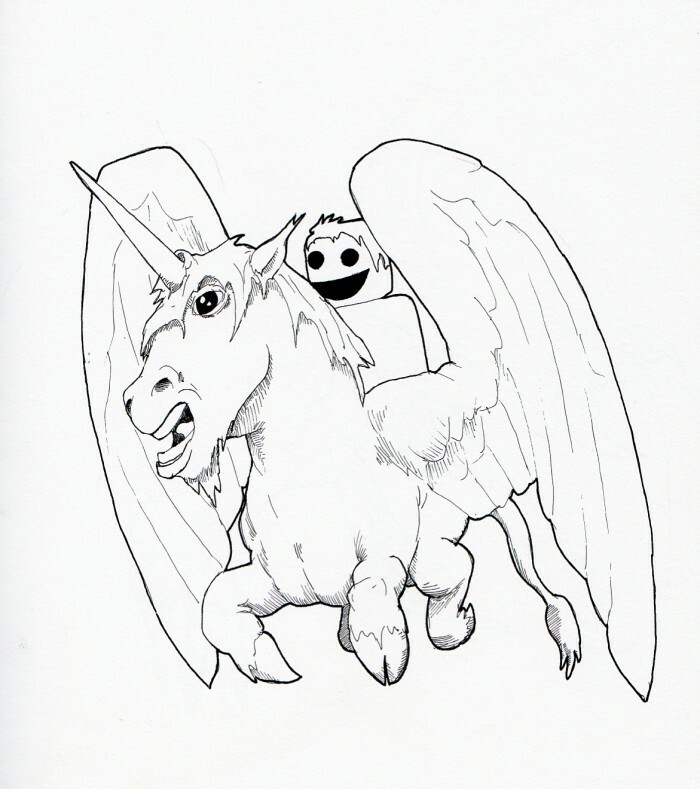 This entry was posted in Scanned Desksketch and tagged pegicorn by Anthony. Bookmark the permalink.